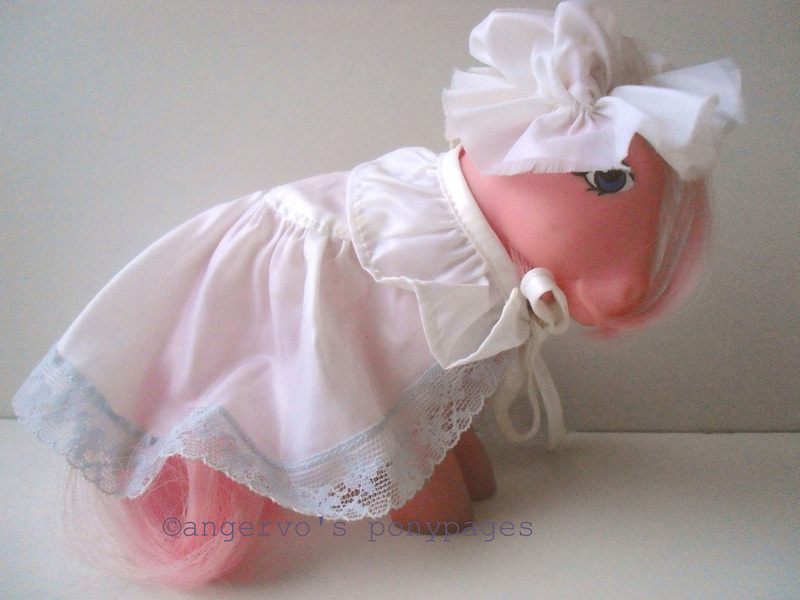 Pony Wear from year 2. 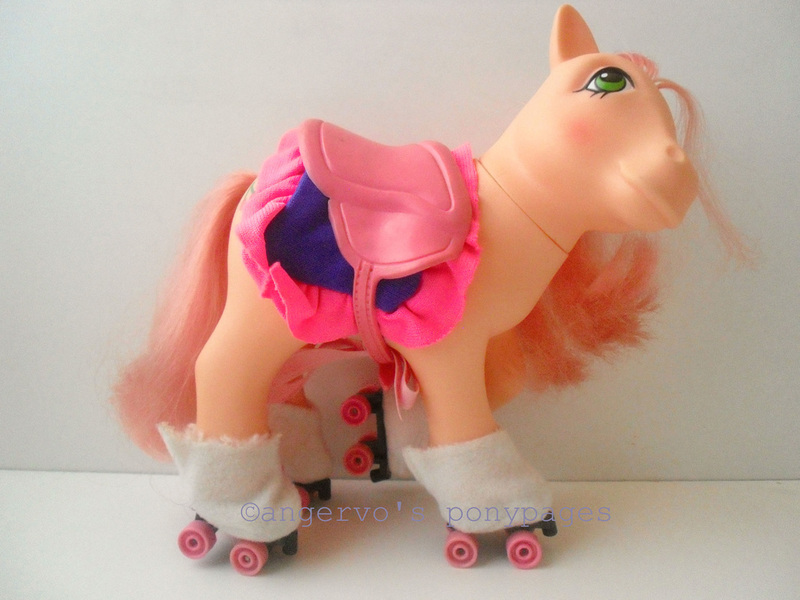 Named as "Roller Skating" in UK. 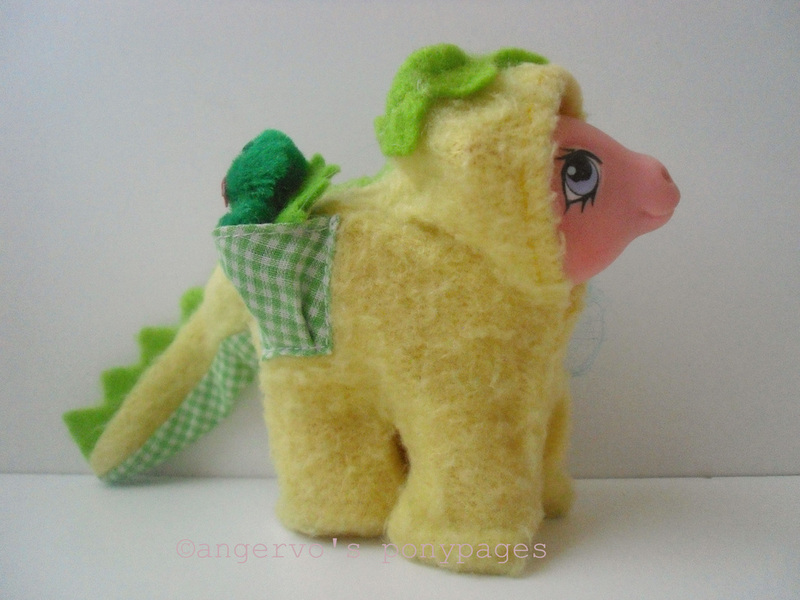 Named as "Royal Pony" in UK. Above there's a comparison picture between original US-one suit and variation French-one (on right). The French-one is lighter and include in with white hat. French slippers are also lighter and have done about a little bit rougher material (click the pictures for enlarge!). 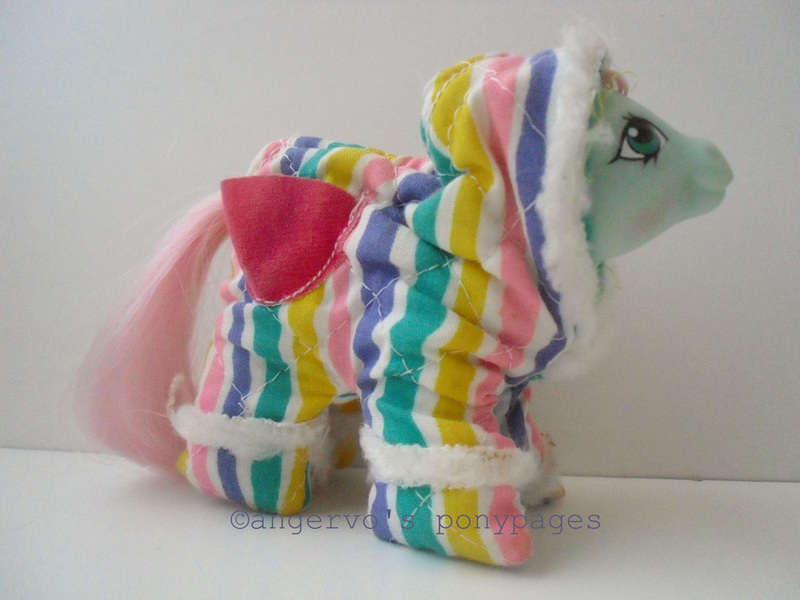 Pony Wear from year 3. Named as "Birthday Girl" in UK. 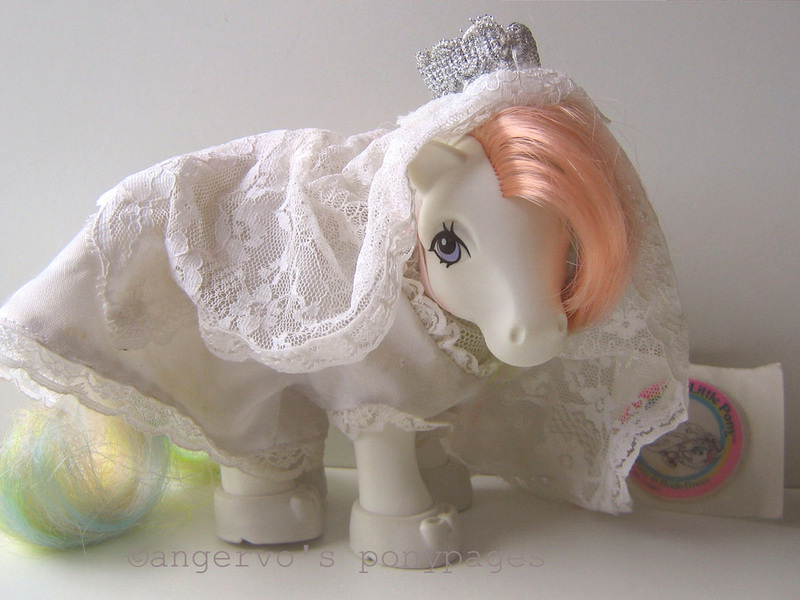 Pony Wear with Jewelry from year 3. Named as "Scarlet Sensation" in UK. Named as "Champagne and Lace" in UK. 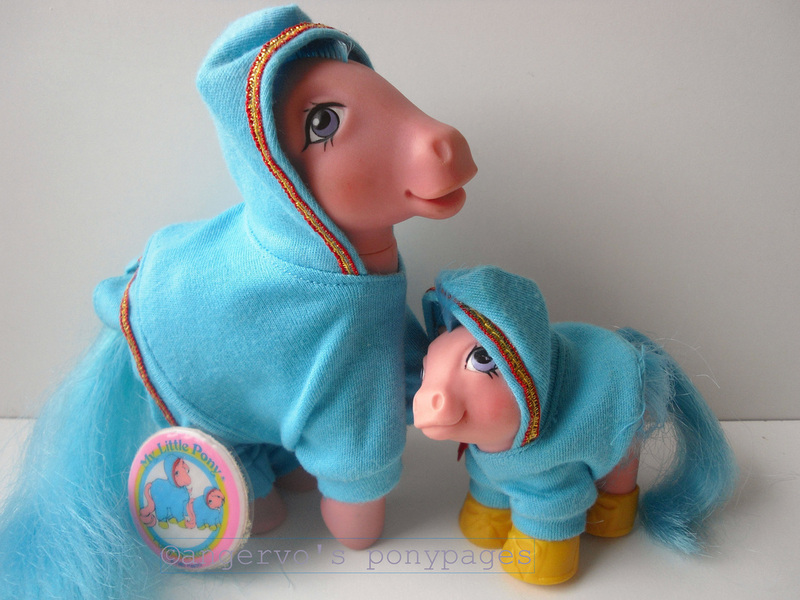 Mother and Baby Pony Wear from year 3. Named as "Fun Run" in UK (only adult wear). Modeled by Firefly & Baby Firefly. Modeled by: Lofty & Baby Lofty. Named as "Beach Party" in UK (only adult wear). Modeled by Surprise & Baby Surprise. Named as "Ballerina" in UK (only adult wear). Modeled by Blossom & Baby Blossom. Named as "Ice Dance" in UK (only adult wear). Modeled by Mommy & Baby Sweet Celebrations. 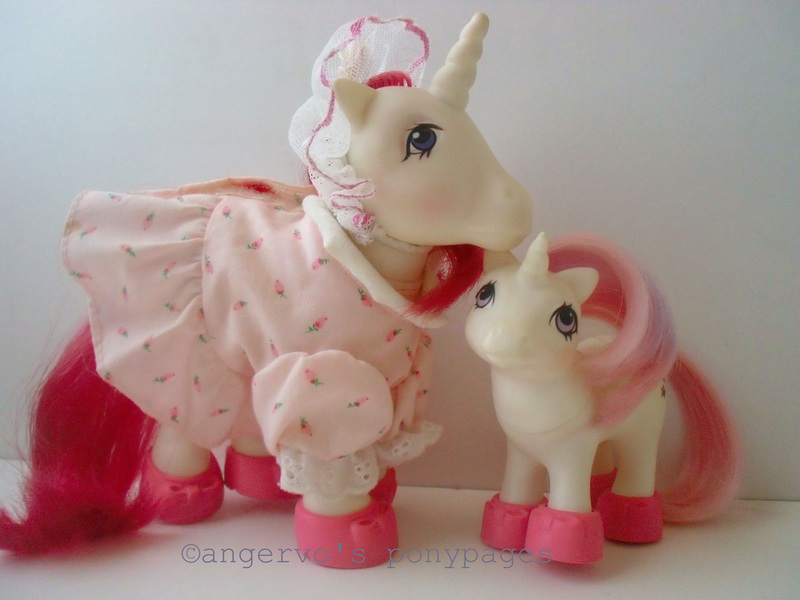 Mommy & Baby Pony Wear from year 3. 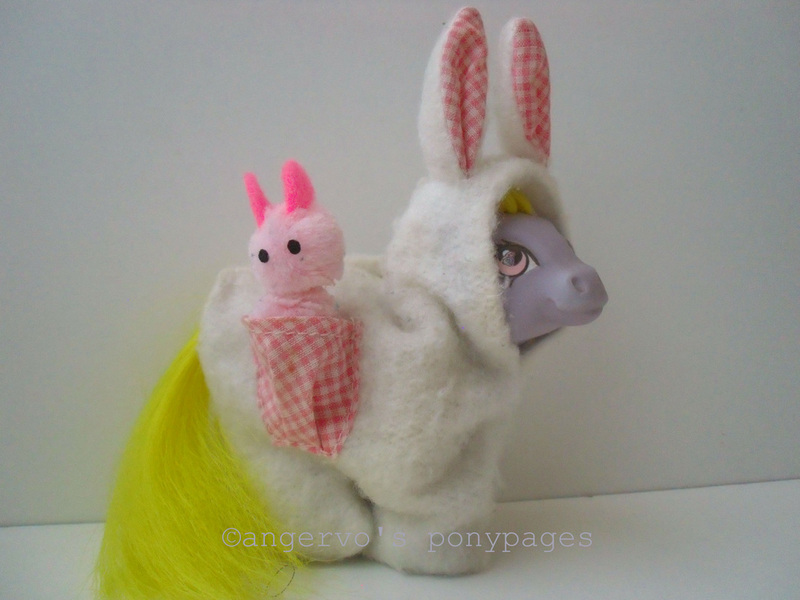 Modeled by Moondancer & Baby Moondancer. 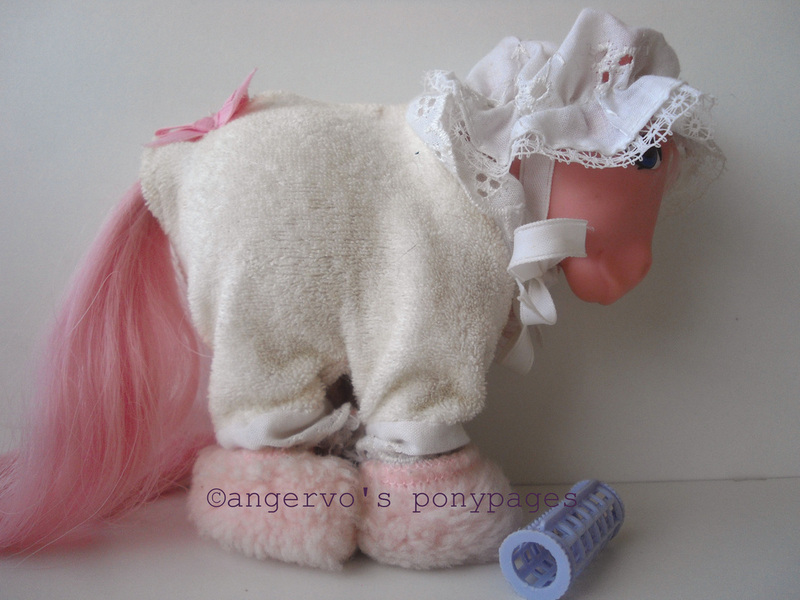 Pony Wear from year 4. Megan & Pony Wear from year 4. 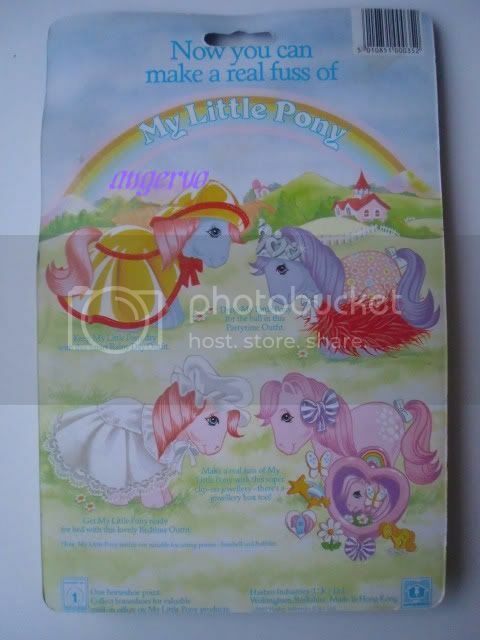 Megan and Pony Wear from year 4. 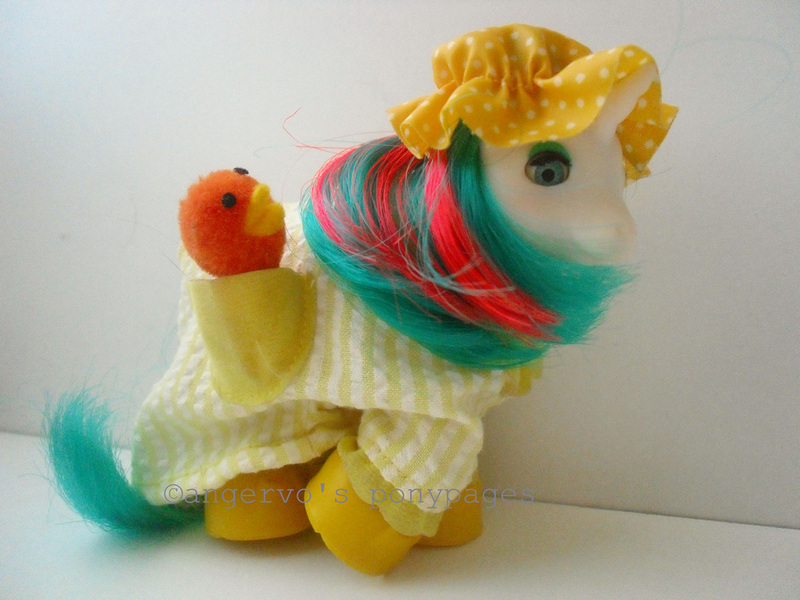 Megan & Pony Wears MOC from year 4. 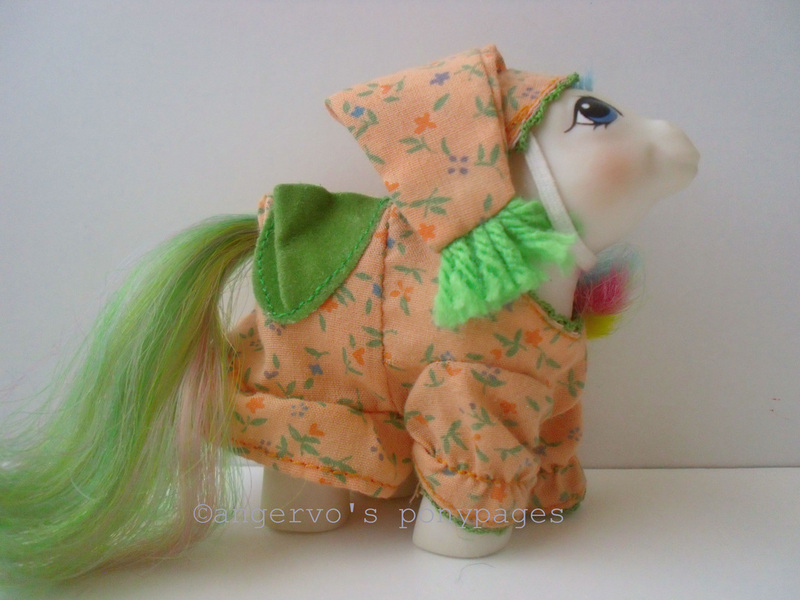 Baby Pony Wear with Pocket Pals from year 4. Named as "Bunny suit with Bunny" in UK. 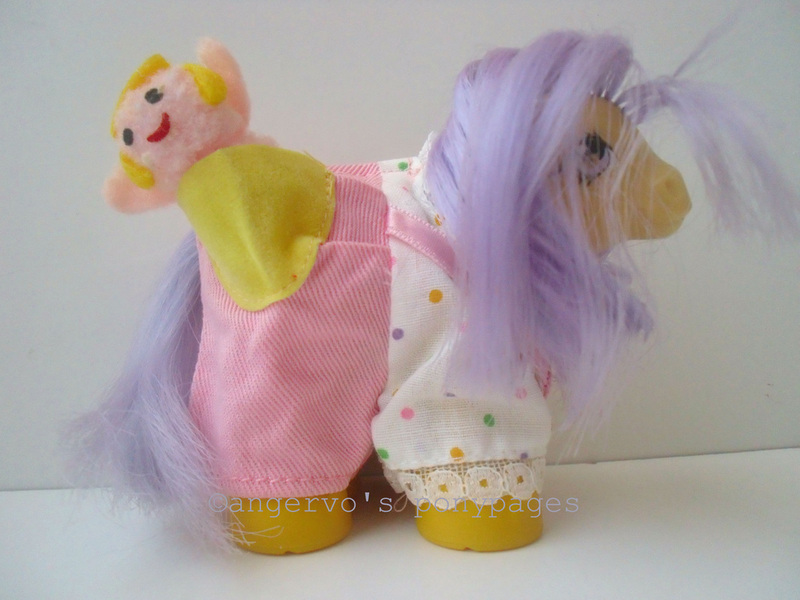 Named as "Dungarees with Doll" in UK. Released together with Bunny Suit. 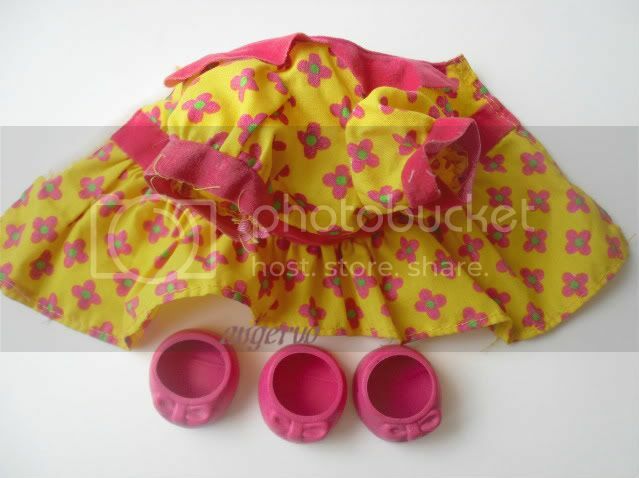 Modeled by Baby Lemon Drop. Named as "Clown Suit with Clown" in UK. Named as "Bathrobe with Duck" in UK. Released together with Clown Suit. Named as "Dragon Suit with Dragon" in UK. Released together with Sunsuit. Named as "Sundress with Frog" in UK. Released together with Dragon suit. Named as "Snow Suit with Snowman" in UK. Named as "Pinafore with Kitten" in UK. Modeled by Baby Cotton Candy. 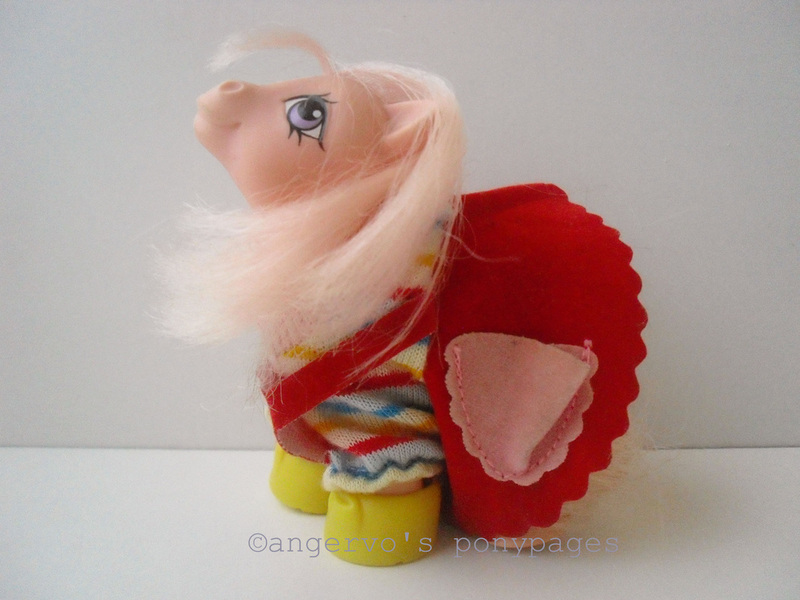 Baby Pony Wear with Pocket Pals from year 5. Released together with Lion Suit. Play'n Wear from year 5. Named as "Skateboard Sensation" in UK. Costume Wear from year 5. 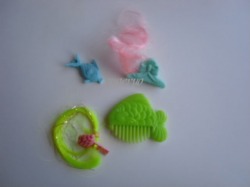 The accessories are from my childhood. 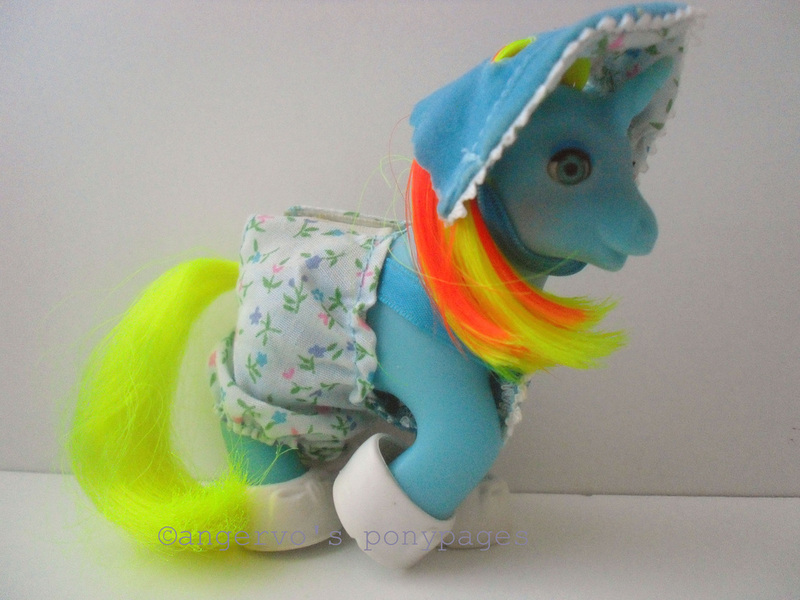 This outfit was publishing in Europe with the pony. 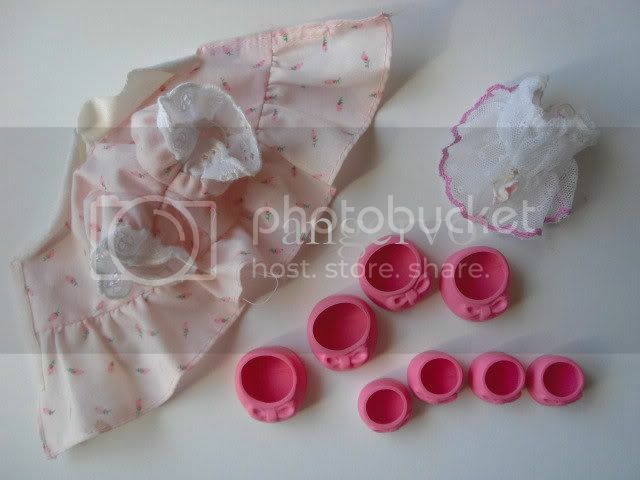 The set is from my childhood collection.